This Sat.- Halloween Night -10/31/15 !!! 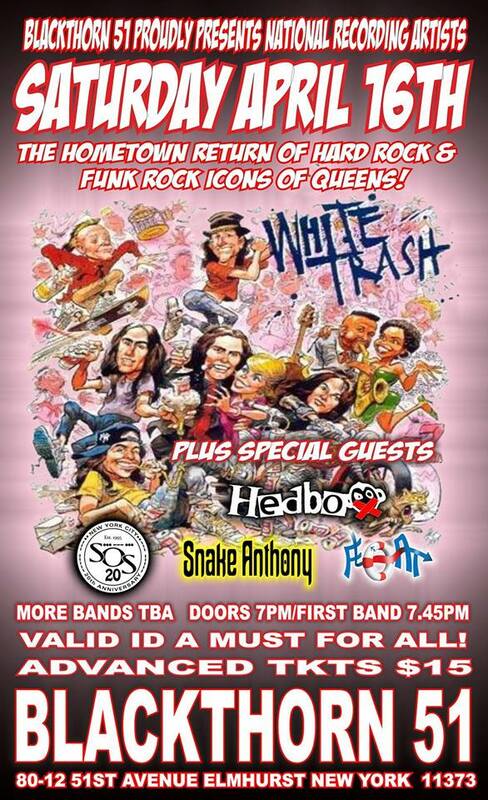 WHITE TRASH – live @ Club Revolution tonight 10/17 !! Featuring original lineup and playing songs from their new release -Suburban Purgatory. Don’t miss this one. Doors at 7 – showtime at 10pm !! Gotham Gold is a New York based music production company owned and operated by Aaron Collins.